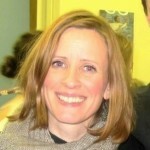 Fiona is a Lay Chaplain and a freelance speaker. She has worked with young people for over 20 years and currently works with a small team of speakers, so it is likely that two speakers will be deliver the workshop. The workshop aims to present the Church's teaching in these areas in a relevant and clear way and involves small group discussion, video clips, as well as testimonies and a time of prayer. On submitting the form, Pure in Heart will contact you to arrange a speaker and date of visit.